This is not a Tiki drink, or have anything to do with the culture. I simply felt the desire, after swooping out of the high of apple season, to make a pumpkin drink. It is a pleasant distraction during the cold months, even though not a warm drink. 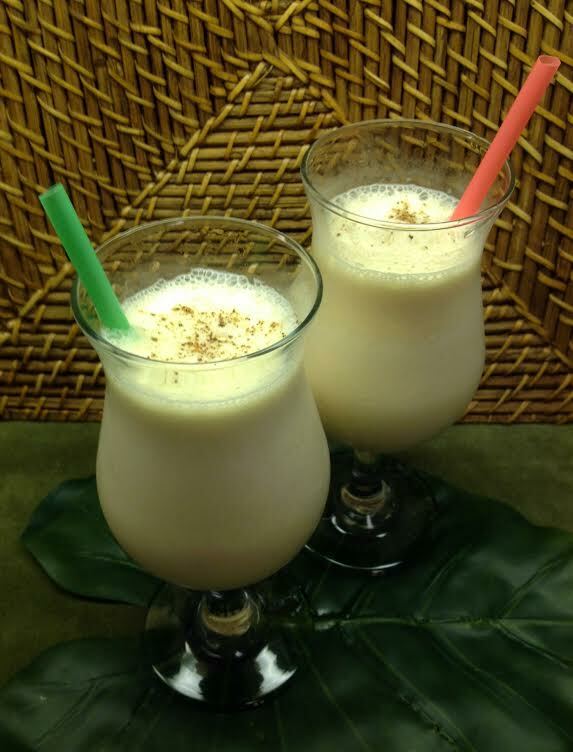 I offer two recipes, whether for a small group of people or many, either way, a blender the tool for this drink. Blend until smooth. Lightly dust with fresh nutmeg after pouring into pre-chilled glasses. **Note: What might work best, particularly for those with a normal blender, and not some fancy-schmancy, ultra-expensive blender, divide the ice cream for successful blending, keeping the ice cream liquified. Blend until smooth. **See note above. Lightly dust w/ fresh nutmeg after pouring into pre-chilled glasses.